Under freshly acquired leadership, this Optics manufacturer needed a bold new identity to redefine everything they’ve become and aspire to be. 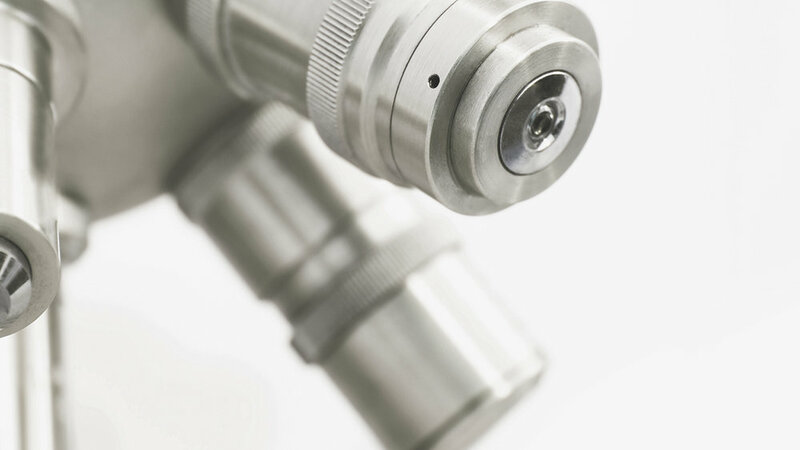 As a solutions provider for the Photonics industry (microscopes, lasers, etc.) their success boils down to their ability to bend and direct light through the products (lenses, etc.) they build. The logo depicts a ray of light at the point where its optical axis is refracted through an engineered piece of glass like a lens or a prism. Preliminary research showed clients returned back to them time and time again based on quality control issues. The competition simply couldn’t keep up with the meticulous specifications set by engineers and we realized this was the company's defining value. I came up with a name that evoked a strong sense or precision and framed it with a memorable brand line.